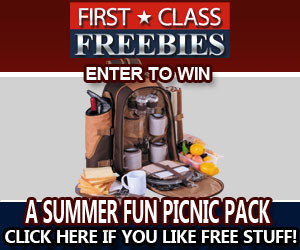 A new giveaway has started from First Class Freebies! This month they are giving one lucky fan a Duraflame Carleton Electric Heater! It's sure to come in handy during the next few months of winter! To enter for your chance to win simply click on the picture below and enter in your email address. Then on December 31, 2015 the giveaway will end. On January 1st one lucky person will be announced as the winner! Good Luck! !